Spring cleaning also equals spring purging. Going through everyone’s clothes, seeing what still fit, what doesn’t, and what’s too worn out to keep wearing. 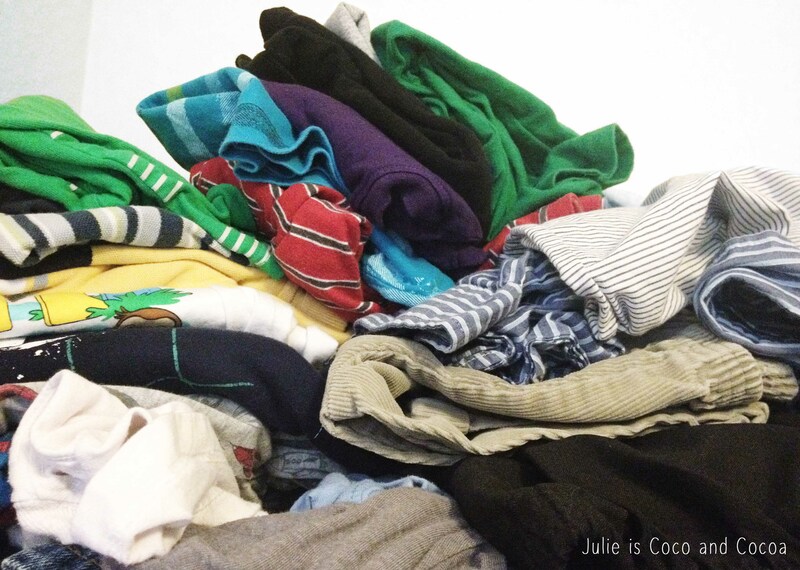 Clothes that are too small, but in good condition, can get donated. But then there are always some with holes or that are too worn out to be donated. So what to do with those? My favorite use for old t-shirts is to turn them into tarn, aka t-shirt yarn. Then I can knit with them, crochet with them, or make them into headbands! 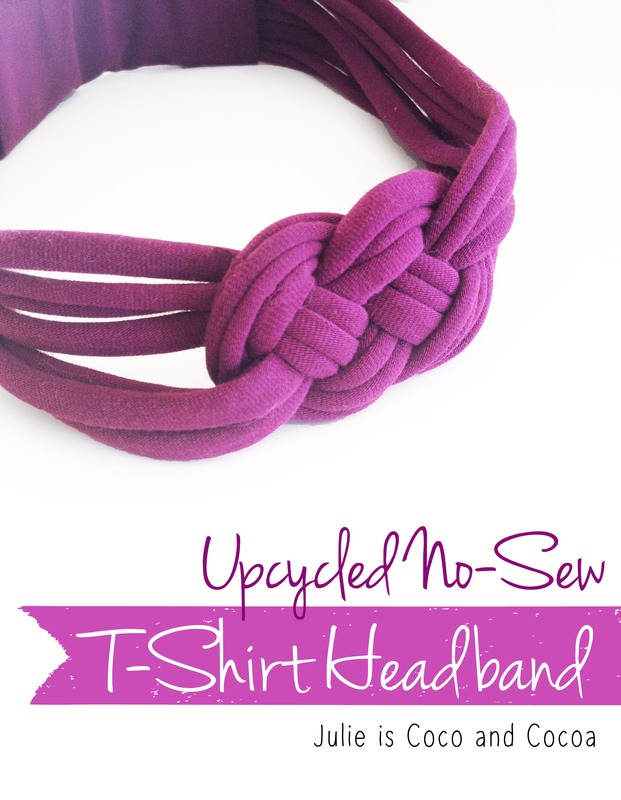 Specifically knotted no-sew t-shirt headbands. Once the t-shirt yarn was knotted I trimmed the ends. Then I cut out another strip of t-shirt fabric. I hot glued the ends of the knotted headband together and wrapped the t-shirt fabric around them. Hot glue makes this a no-sew project! 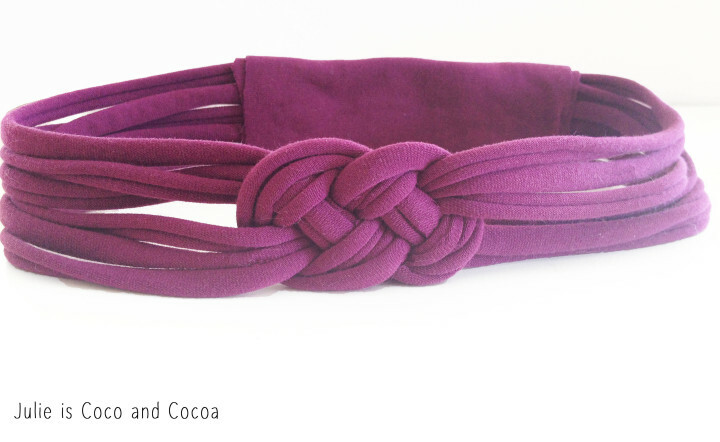 Here is the back of the knotted t-shirt headband. Know who else is taking something old, ready for the trash, and making it new again? Energizer and their new EcoAdvanced batteries. This is the first battery on the market to use recycled batteries, and it’s also Energizer’s longest lasting alkaline ever. Which makes it perfect for my video game playing boys. 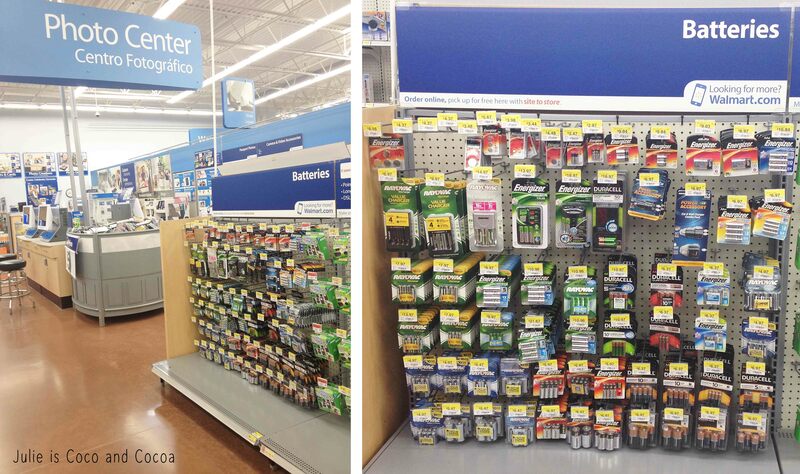 When the game controllers are low on batteries I know it’s time to head to Walmart to pick up some new ones. 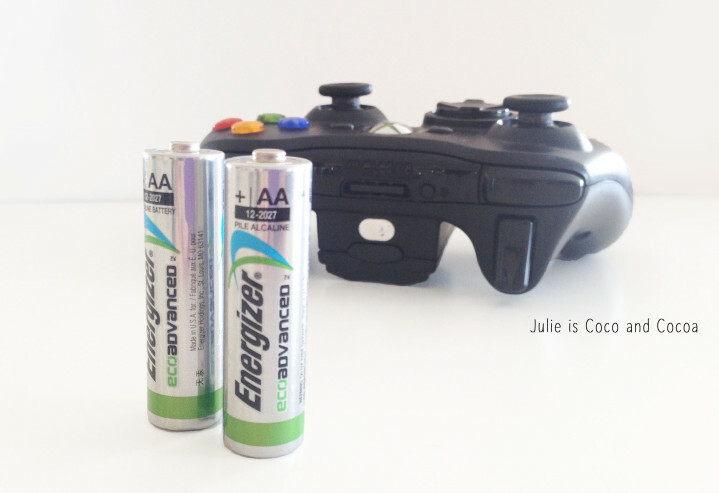 The EcoAdvanced batteries are also available in AAA. What’s your favorite way to upcycle things around your house? Let me know in the comments! That headband is adorable!!! And it looks easy too!! I think I could do that!! I promise, it’s super simple! Thanks! And with the hot glue gun versus a sewing machine, it’s really easy! This is super cute! I’m always looking for more headbands for me and Chanel! I’ll try this out. The t-shirt yarn makes a really soft comfy headband! Thank you! And I hope you give it a try! I have always wondered how to make these! I would love to do a rope one for a little nautical fun… Great tutorial! A rope nautical one would be cute! Thanks, Miranda! Thanks, Allison! Let me know if you have any questions about the instructions! What a cute idea. I totally think I am going try this. Thanks! And I hope you give it a try! With summer coming I’ll be wearing headbands more often. I made these for my daughter. The Stretch of the t-shirt yard was perfect for her little head. They loo cute if you use 2 different colors too! I’ll have to try it with different colors next time! Thanks! That is such a cute headband. I have a bunch of old tshirts I use to upcycle and will definitely be doing this. Thanks, Michelle! I love being able to find ways to use something instead of throwing it away. I love this! Anything that is no sew is always a win to me! How did you make that video? I am a huge fan of no sew! I made the gif using Photoshop Elements, but I know there are other apps out there to make gif’s as well. Thanks, Jessica! I love that I can make it in a bunch of different colors, too. These are so cute! I could totally pull off making one! Thanks, Chelsea! I hope you try making one! 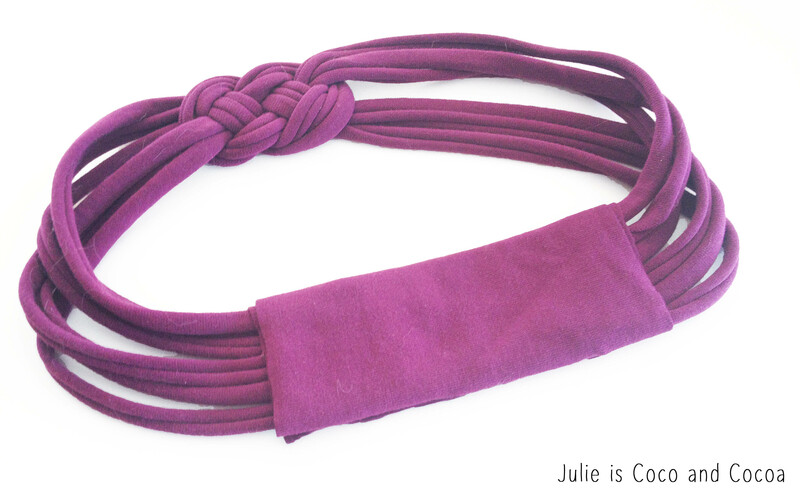 I do love that headband-whether or not I could make it is another story altogether! I am definitely going to look into those batteries–we all go through batteries and it would make me feel better that they were made from recycled! Thanks, Michele! And I promise the headband is really easy! Cute headband! Totally love it – and I bet since it’s made from t-shirt, it must be comfy! Very soft and comfy 🙂 Thanks, Erica! Thank you! I love being able to repurpose at my house. I’m a hoarder of anything that could turn into a good craft later on. It’s great that you can repurpose your old t-shirts. Plus, you saved the dump from batteries. Double win. Thanks! And I definitely have my craft stash. These are the perfect project to do on a rainy day. I made a ton of them for my daughter and I last year! Perfect for a rainy day!! I just love how that turned out, and I can’t wait to go through some of my stuff and make a few! Thanks, Liz! I hope you love your new headbands! This is super cute. I have to be honest, I’ve attempted a few upcycled t-shirt projects and they NEVER look as good as the bloggers versions! Drives me crazy but I keep trying. lol. I promise this one is really easy! Let me know if you have any questions! This is so cute! I absolutely love it! Those are so adorable! My mom loves to make crafts like these! I feel like it is totally up her alley! Thank you, Sarah! I love being able to save a favorite shirt and turn it into something new. This is soooo cute! I gotta go and find an old shirt to cut up!